Yeah, but: This is only Part One. The Long Version: There was one time when I missed having my D800 with me. I was in an elevator, three thousand kilometres from my home, on my way to photograph a bunch of friends getting reading for a wedding. I'm not the most outgoing individual, and am not naturally drawn to people photography; the gravitas of a big camera would have been something to take authority from, or hide behind. Instead I was carrying the little Ricoh GR, and for a fleeting minute it felt like one of those dreams where I would be arriving at the party naked. But if I had my D800 the photos would have been worse. It's too much camera to be sticking in someone's face, and would have shot like a thunderclap in a small hotel room. And I knew that, too, even as I was briefly wanting the God Nikon. At no other point in my week-long trip to Los Angeles and Las Vegas did I wish I was carrying more weight or a bigger camera. 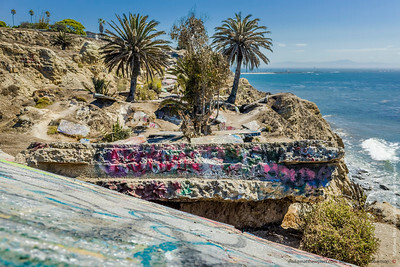 Visiting family in Los Angeles meant lots of opportunities for casual photography, as well as returning to one of my favourite landscape locations. Moving on to a wedding in Las Vegas would involve street and urban photography in my off-time as well as filling in around the edges of the paid event photographers for the big day. That wedding also meant that I'd need two "good" cameras, as Penny would be photographing the female half of the preparations. My original plan had been to carry the Nikon D800 with the 60mm Micro and Sigma 35/1.4 along with the Nikon V1 with its 10-30, 30-110, and 18.5mm prime. That would fill my boxy Lowepro Stealth Reporter, leaving my iPad Mini sticking out the back, and barely have room for batteries, let alone the chargers and everything else I'd need. Fortunately, my preorder for the GR, placed with Ricoh in May, came through just three days before I flew out – on the Friday before a long weekend – and changed everything. The D800 and its two lenses stayed home: five pounds of weight gone, just like that, along with the need for the boxy nylon camera bucket. Now my entire kit fit inside a little 7L MEC Pod sling pack, which made everything else I did over the trip easier and better. Even with all of the ancillary bits and pieces that I wanted with me, my fully loaded carry-on weight was only nine pounds, and my working weight was substantially lighter than that. The GR's higher quality and smaller size also meant that the V1 was demoted from its expected role as my main camera, and while it was irreplaceable for the wedding and associated events, it took less than 20% of my personal photos. When the quality and portability of the GR is mentioned on photography forums there's always someone who espouses something that they already own: the NEX-whichever and 16-50 power zoom lens, or a Panalympus with Pancakes, or the Fuji ex-film series. None of those are even in the same league as the Ricoh GR. I own three different mirrorless camera systems, and have travelled with each of them. A camera this good and this small hasn't happened before. First of all, the collapsing Sony 16-50 is the camel scrotum of camera lenses – not in a good way – and all interchangeable lens systems have design and size restrictions that simply don't apply to a fixed-lens camera. The Ricoh GR's dedicated prime lens resolves more detail, and with fewer deficiencies, than much larger and more expensive machines. 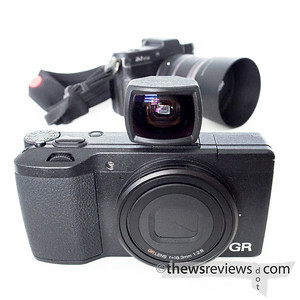 The GR is unquestionably more specialized than a camera with interchangeable lenses, but it's also far less compromised. Secondly, the Ricoh GR comes from a long line of advanced small cameras, and its operation has been exquisitely thought out. With the exception of its mechanical flash release, the GR can be configured so that every single shooting function can be used and changed one-handed. That makes for a completely different paradigm than a camera that requires two hands to use properly. Complimenting this is its slim design, which makes it more pocketable than awkwardly-named fixed-lens cameras like the Sony RX100M2 or Coolpix A. 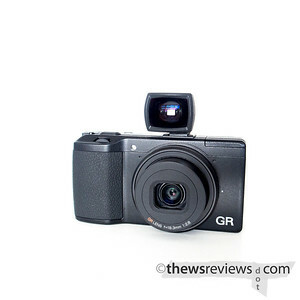 The GR is the most transparent digital camera that I've ever worked with, and it just goes away when it's not needed any more. The catch, of course, is that the GR accomplishes its small size and excellent image quality via an unzooming 28mm-equivalent lens. That's not my favourite single focal length – I prefer 60mm – and wide lenses do tend to be more difficult to use than long ones. Add in the imprecision of holding and framing with an LCD-only camera to the wide-angle ability to exaggerate perspective and hilarity often ensues. It's certainly not for everyone. But my time with both the GR and the small-sensor GRD4 has convinced me that 28mm is an excellent if-there-can-be-only-one focal length. Those who disagree are welcome to treat the GR as a 10Mpx 35mm-equivalent camera if they prefer. Travelling with the GR made for the best effort:reward ratio of any photographic trip I've ever taken. In Los Angeles I would carry the GR and three-lens V1 system in my shoulder bag, almost always choosing the GR but having the V1 and its long zoom immediately available when I wanted it. That same bag could only have fit the much heavier D800 with one lens; photographic flexibility would have meant carrying a much bigger and even heavier camera bag when I went to the beach, toured a local battleship, or walked around the neighbourhood. The GR/V1 pairing gave me tremendous flexibility, good-to-excellent quality, and a much more pleasant trip overall. 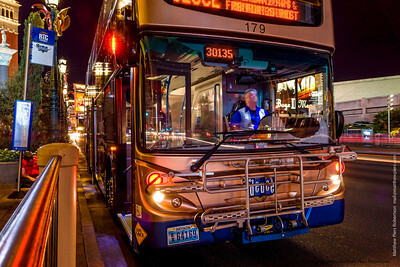 Street photography with the GR in Las Vegas was quite literally a snap. Being able to use the camera with one hand, and set most of its functions with barely a glance, drew minimal attention and let me take many photos that I could never have managed with an SLR. I didn't even bother with a camera bag when I was on the strip at night, since the GR could fit in a pocket even with the little Joby Micro 800 tripod attached. The Ricoh GR immediately rekindled my love of urban long exposures, and reconfiguring it from taking low-iso long exposures to being ready for high-iso street snapshots was as simple as choosing a new custom-programmed position on the mode dial. Every time I picked up my camera bag, or saw someone walking with a big camera, I was happy that I had left my D800 kit at home. I almost felt badly for the SLR-users lugging their ungainly contrivances of tripods and wide-angle lenses around Las Vegas Boulevard at night. Just one year ago beavering away with a little compact camera would have been a waste of effort, but now the world has changed. The last time I saw an impending shift this large was when I was trying to explain the brand-new Lightroom software to photographers who told me that Adobe Bridge did everything they needed. I'm not about to put my D800 up for sale, and I know that I'll be taking trips with it in the future. Its image quality and flexibility remain unsurpassed. If weight is not an issue, like when on a supported tour or travelling by car, I'll happily load up a big backpack and head out the door. But I'll still be bringing the GR to tuck in a pocket. If I'm flying, or taking intercity buses, weight and bulk transform into luxuries and impediments. Pairing the excellent GR with the versatile Nikon V1 worked very well given the requirements of this trip, and I know I'll be using that combination the next time I'm in Coney Island. But I also foresee other trips, possibly including multi-day bus forays, done entirely with my GR and GRD4. Cheap SD cards remove the need for storage drives, and phones and tablets are making laptop computers redundant. The GR's in-camera charging means that the same USB power block can supply my phone, tablet, and camera; if that fails then the GRD4 can squeak as many photos as you'd get from a short roll of film out of a pair of AAA batteries. It has never been easier to travel long distances lightly and with excellent gear. With the GR I finally have a camera that's small enough to carry and use anywhere, and good enough that it's worth taking those once-in-a-longtime photos with. 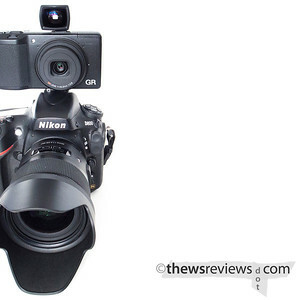 Even better, it's a genuinely compact camera that doesn't require workarounds and compromises in its use. It's not perfect, but it's exceptionally well designed and hits the sweet spot for almost everything it does. I have read and re-agreed with this post at least 4 times. The size, weight, and intimidation factor of DSLRs just isn't for me. Now that small interchangeable lens camera bodies are maturing, I look forward to what we'll see in the near future.